Orientation began with the story of owner/winemaker Jimi Brooks (of Brooks winery), who passed away suddenly during harvest 2004. Many local winemakers donated their valuable and limited time during harvest to make sure the 2004 Brooks vintage was completed in the style the winery had become known for. 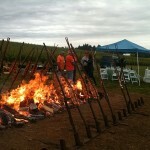 This is a true testament to the spirit of the wine industry in Oregon. Of course, there is friendly competition, but they all share the same goal: to spread their passion for the exciting wines of Oregon. There were six different workshops, led by the winemakers from top wineries such as Chehalem, Adelsheim, Cristom, St. Innocent, and Argyle. 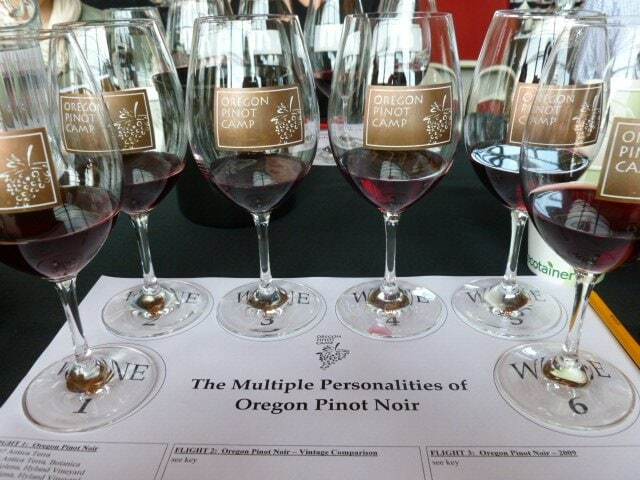 One of my favorites, “Multiple Personalities of Oregon Pinot Noir,” explored the influences that vintage, place, and the winemaker have on the final product. (Don’t be fooled by what the press is saying about the 2007 vintage…it was a tough vintage with lots of rain, but the wines are really showing well.) Luckily, the blindly tasted favorite at my table was made by Greg McClellan of Trisaetum, who was seated next to me. 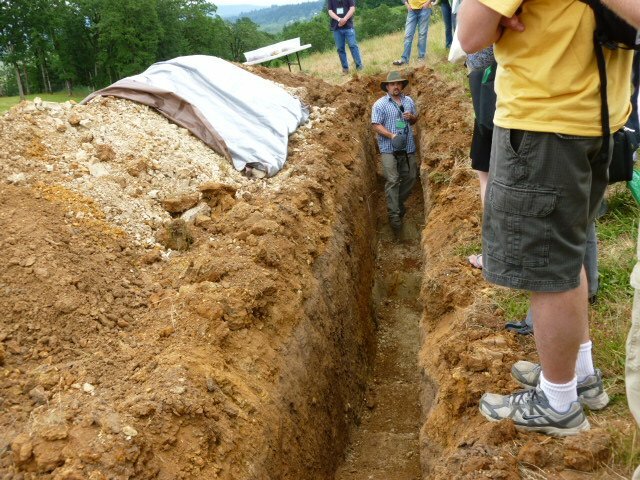 Another particularly interesting workshop was the one titled, “Soil Into Wine: Digging Deeper into Pinot Noir.” This was held at Penner-Ash winery, where there are two very different soil types– sedimentary and volcanic–100 feet from each other. 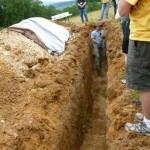 Campers were able to walk down into soil pits to get a close-up view of geological history. Later we tried wines vinified in the same manner but from grapes grown in the different soil types. It was fascinating to taste the difference, and really brought the idea of terroir to life. 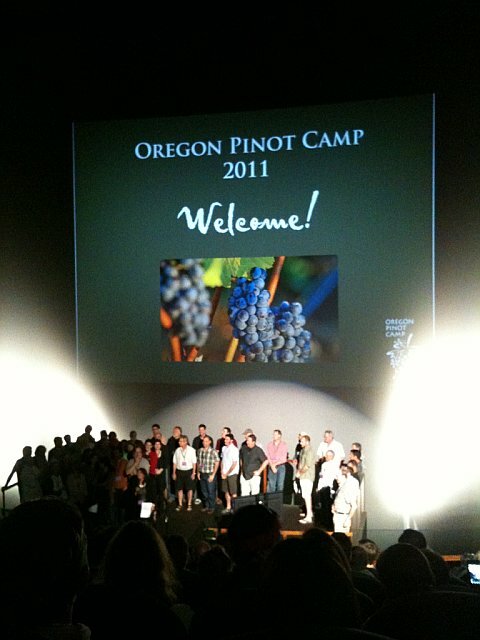 I was thrilled to have “Hunting the Great White: When Pinot Noir is Not Enough” as my 8 a.m. session on day two, because I like to joke that the white wines of Oregon really make for excellent “breakfast wines.” I was blown away by the Chardonnay and Pinot Gris, and particularly by the Riesling. This is world-class stuff, with potential to age beautifully. The final night ended with a classic Oregon salmon bake. 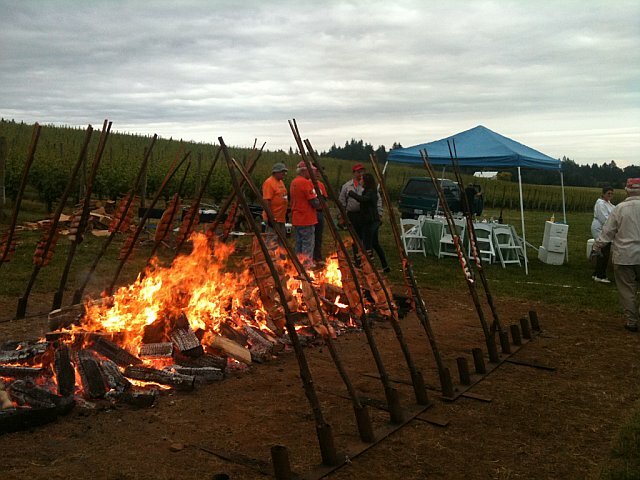 Fresh salmon fillets are strung to stakes hovering over an open fire pit and served up alongside loads of local foods. (Oregon berries this time of year are scrumptious.) This was a real treat, not only because the food and scenery were incredible, but because the winemakers were walking around with large format older vintage bottles and pouring for any and all takers (which was anyone and everyone). Often times compared to Burgundy, many of these wines can age very well. 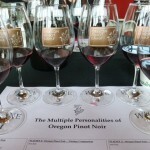 One that really stood out to me was the Chehalem 1994 Reserve Pinot Noir. The acid and fruit were still very present and balanced, but the aged characteristics were peaking through just a touch, which made for a complex and graceful wine. 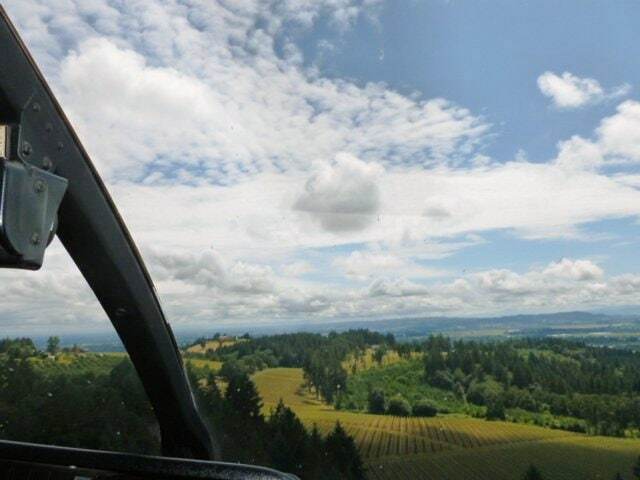 On the last day I took a ten-minute helicopter ride over the valley! 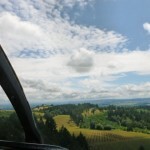 Once my heart stopped racing a million miles a minute, I was able to take in the landscape from a birds-eye view. It’s important to the locals to ‘keep it real’ by maintaining local crops, like Filberts (hazelnuts), instead of taking over the area with vineyards. Their focus is on world-class wine-making instead of building fancy Napa-style Chateau-like wineries. 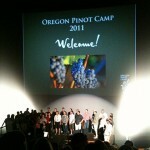 Oregon Pinot Camp made a serious impression on me. It’s clear this region will continue to grow and make a real mark on the world of wine.